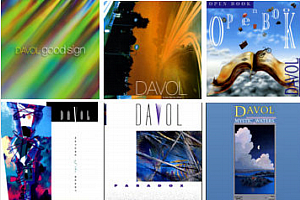 Davol is my interview guest at NewAgeMusicWorld.Com. Knowing the positive nature of his music, I hope to create a little excitement of our own today. Davol is a widely popular musician easily recognized by his Electronic Contemporary Instrumental melodies that readily elevate the mood sensation and their highly melodic rhythms in turn offer an inspiring upbeat atmosphere. Davol’s music eloquently brings a positive and energetic influence to the forefront of New Age music, and today we hope to encourage every visitor to learn more about him. 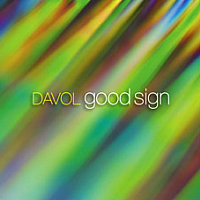 Review publicist and interview host John P. Olsen has published an earlier review of his current album Good Sign, and I invite you to read this review and more articles about this fine electronic music artist on my pages dedicated to Davol. John : Thank You for sharing your time with us Davol. Your April 2010 release Good Sign is an excellent album and another fine release of the 6 albums total you have produced since your decision to pursue music as a new career in 1989. Good Sign is successfully making waves with your large fan base and ZMR charts presently have listed at # 2 for May. This is great news naturally, but I personally believe much more recognition may be in store for Good Sign. What are your thoughts on the direction this album is heading and do you set out to win awards and earn top recognition? John : Hey, B.T. and I will see what we can do …. Lol!! What you said about Ed Bonk is true. 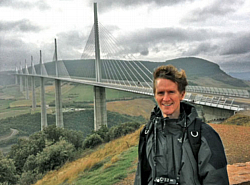 We consider Ed a good friend and hear the exact sediments from his clients all the time. Everyone speaks pretty highly of Ed Bonk ( Lazz Promotions ). Your scholastic training in jazz, classical piano and harpsichord were early prerequisites in your move toward the more modern music influences you produce today. Would you provide our visitors an outline of your studies and music history? Davol : When I was quite young I started with the trumpet. But the monophonic nature of it frustrated me, so I became interested in piano at the age of 12. I studied classical piano a bit, and harpsichord a little in college. I’m actually now studying jazz piano with a local jazz master. It’s challenging and fun. I’m probably his most remedial student, still learning the basics! In a sense, I kind of feel like my compositional work exists very separately (in my brain and heart) from my previous musical training. Obviously there is some kind of relationship and influence, but I really feel like the electronic music I write is more influenced by my love of pop music. John : You have a PH.D and had begun an already successful career as a medical researcher and microbiologist until 1996 when you then chose to begin a commercial venture producing multimedia music. What were the timeline of events that led to your decision to pursue music as a new career and was this career move an easy choice for you to make at the time Davol? Davol : Oh gosh no, it wasn’t easy. I had worked so hard to become a medical researcher and get my doctorate, but I was also very burned out. I was doing music professionally WHILE I was finishing my PhD in microbiology and continued doing both simultaneously over the years. The problem was that to be a really good scientist, one must be very focused. In other words, you work in the laboratory in the daytime, and you’re expected to read journals and write papers in the evening. I wanted only to write music in the evening! So there was sort of a mutual incompatibility with the two careers. When I left science, I felt that I had learned a great deal and had published significant work. That was satisfying. I actually did return to science in the last 5 years, sort of in a roundabout way; I was a public health educator for a Hepatitis C non-profit organization. I was giving educational talks about HepC, mostly to ex-convicts who were on parole. It was a very unusual and educational experience. John : I read at your website that many of your albums are designed with a theme in mind based on events during the time period. What themes are behind Mystic Waters & A Day Like No Other? Davol : Mystic Waters was released in 1989, a time when “fantasy” albums were all the rage. So, it was conjured up with that genre in mind. There was a sense of peace and tranquility, a sense of fluid movement, like water. A Day Like No Other marked a pretty big change in my life, sort of a reinvention, as I hadn’t released an album for 7 years (since Open Book). I wasn’t sure that I would do any more albums, frankly. I was burned out and was now producing on my own label. Also, ADLNO was the first album I ever wrote and produced without any co-producer. In other words, I had to finally trust myself, in a very singular sense, and believe in what I was doing! Also, ADLNO was the first album I wrote in a completely software-based studio environment, so the toolset and sound palette was utterly different from the past. It moved me more into a guitar-based sound that I find very appealing for the pop-style in which I write. So, the ADLNO album represented everything “fresh” and “new” to me, hence the name. John : Nice reinvention Davol since A Day Like No Other happens to be one of my favorite albums! There were some particular circumstances happening during the production of Good Sign. What was going on at the time and how did you maintain the Davol can do attitude? Davol : Yes, some challenging things … a couple of close loved ones struggling at the end of their lives and passing on, I had to move my mother into a retirement home, find a home for her dog, empty her house and sell it, etc, and a 14-story high-rise was built directly across the street from my home. That meant 1.5 years of incessant noise, my street closed off every day, etc. It was overwhelming. Oh, and I almost forgot, the interior of my house flooded, TWICE. Due to the construction, I ended up working on the Good Sign album in the evenings. I would start work after dinner and finish at 2:00 am. It was a very unhealthy lifestyle for about a year, but hey, I got it done!! 🙂 I think the album truly was my catharsis, so the focus was JOY, OPTIMISM, and POSITIVITY! 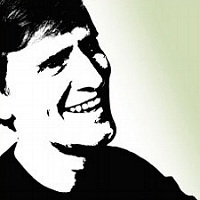 John : After listening to several prior radio interviews at your website and it’s pretty easy to recognize you are a positive and upbeat person as you were saying and just like your music reflects. Is it your intent to instill a positive influence into all of your music and just how exactly do you transfer a positive personality trait into musical notes? Davol : I guess I have always tried to keep a positive outlook in life. It’s easy to get wrapped up in the tedious minutiae of the day-to-day, but important to never lose sight of the fantastic gifts we all have. 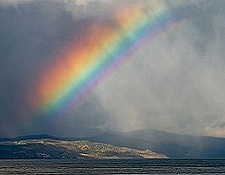 I think there is also often a slight tinge of melancholy in the music I write. Sort of a mix of bright optimism blended with a small amount of “reality/regrets/disappointment/loss”. I prefer that 90:10 mix. I can certainly appreciate very dark music, it’s just simply not my forte to write in that genre, so I typically don’t. John : Yes, I love the dramatic notations you infuse into your work. Has today’s technology made a big impact in regards to the way you have composed music in the past, and what electronic equipment do you use? Davol : Yes, definitely. I work on a Mac, using the sequencing host Logic Studio. My sound set includes instruments from every major software synth manufacturer. I’m particularly fond of MusicLab’s RealGuitar product. It’s the BEST for acoustic guitar strums that layer so beautifully with my synth textures. It gives everything a wonderful energy and feel. Using a software-synth studio has advantages and disadvantages, but I’ve chosen to simplify my life by not using any hardware instruments anymore. I could never turn back now. John : Good Sign features a song called Truth 2010. This is the first time you have made the Truth song available on CD and is the remix of your conceptual Truth Video that created a dramatic reaction among many people and considered political in nature. How and why did you produce the Truth Video, and what where the political and competition events occurring during production? Davol : That was a creative vanity project that appealed to me at the time. And I had never done a video and wanted to learn how to create and edit video. Needless to say, THAT took a great deal of time, but was fun. That was back in 2007 and there was so much political discontent in the US, that I wanted to take a few steps backward and comment on the fact that so much of our “reality” is based on media stories that, for all we know, may have very little to do with the truth. If the past is any judge, everything should be suspect. But we pick and choose, deciding that story “x” is reasonable and we believe it, but story “y” is crazy and we reject it. We do this in history and have created a revisionist history that is written into textbooks. If we know that about history, why don’t we view current events reporting with the same skepticism? So, to return to your question, my focus wasn’t so much on the current politics of the time, but taking a glimpse at the last 100 years or so of US history, in particular. John : Do you plan to release more CD albums and song videos in addition to the current ones featured on YouTube, and I ask this half joking Davol, but do you consider yourself a political activist in a sense after the Truth Video? 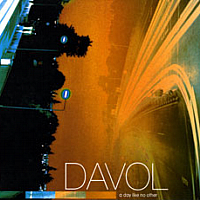 Davol : No more politics! Read my lips! 🙂 I really want to focus on what I do best, simply write music. And that is where my heart and head truly reside. So, no more detours or distractions from the music. John : It has been a pleasure to meet you Davol. B.T. Fasmer and I will keep our visitors informed on the latest news about you so let’s keep in touch. Before we go today, is there anything you would like to tell your fans or bring up that we haven’t talked about? Davol : I came so close to abandoning my music career before the A Day Like No Other album, that I just want to thank everyone over the years who has emailed me or left a comment on my Guestbook page. It is truly those supportive words, stories of moments in people’s lives where my music touched their hearts that have kept me creating. I thank you all, and hope to keep providing music that will intrigue and touch listeners in a meaningful way. John and B.T. Fasmer, thank you so much for supporting independent artists and this opportunity to share with fans. 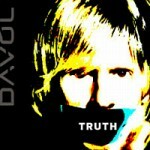 We encourage our visitors to learn more about Davol and the place to find him is his davolmusic.com website homepage. Read his biography page and go to his music page to purchase / sample. 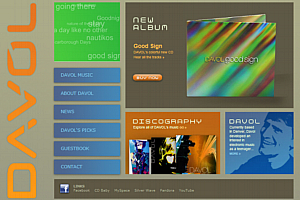 Read my review of Good Sign by Davol.